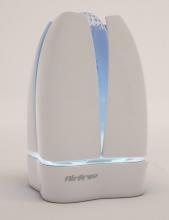 Airfree® Lotus air purifier combines a distinctive design with exclusive technology, allowing a change of colors and the opening of the device’s petals all while gradually purifying 650 sq ft from germs, viruses, bacteria, dust mites, mold spores, dander, pollens, ozone and numerous other airborne contaminants. According to chromo therapy, colors exert specific influences on us, each one in its own way. While it purifies the air, Airfree® Lotus emits different colored lights that help to create welcoming and inspiring environments and that, subconsciously, improve your well-being and comfort. The year of 2013 was marked by the launch of Lotus model, presented in the International Houseware Association fair, in Chicago, U.S.A. and it became one of the five finalists for the Innovation Award of IHA, among the about 600 products launched during the event. Inside the Lotus's patented ceramic core, 99.99% of all microorganisms: spores, fungus, bacteria, virus, mold spores, are incinerated at temperatures around 400F (250C). That is done without significant heat contribution to the unit. No living microorganism survives this power. 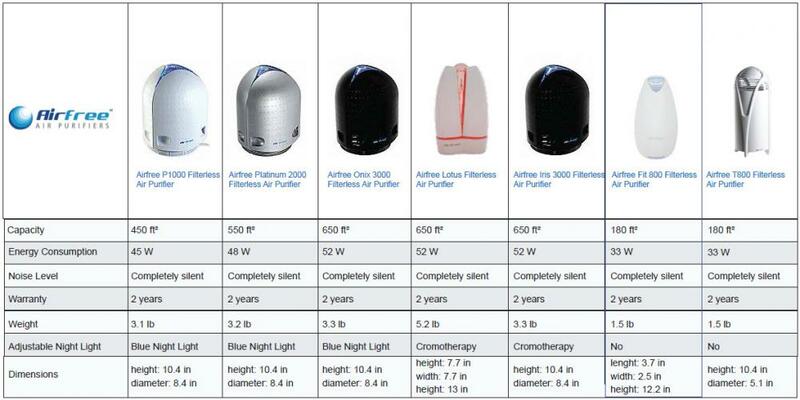 Airfree Air Purifiers & Sterilizers reduce Ozone. Whereas, ozone generators generate dangerous levels of ozone which in turn destroys lung tissue, triggers respiratory diseases, and corrodes metallic equipment. The Airfree Lotus uses just heat. No additional V.O.C. 's are generated. A breath of pure inspiration. Simple, natural and effective. 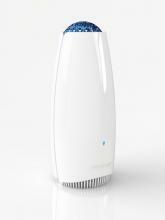 Airfree Lotus eliminates all microorganisms and allergens in the air, silently and without harming the environment. Airfree Lotus combines a distinctive design with exclusive technology that provides a change of colors and opening of the device’s pedals, inspired by the striking beauty and mysticism of the lotus flower. According to chromotherapy, colors exert specific influences on us, each one in its own way. While it purifies the air, Airfree Iris emits different colored light that help to create a welcoming and inspiring environment and that, unconsciously, improve your well­-being and comfort.